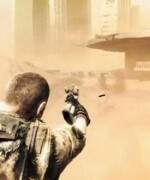 Spec Ops: The Line is a third-person shooter based around tactical and squad-based gameplay. 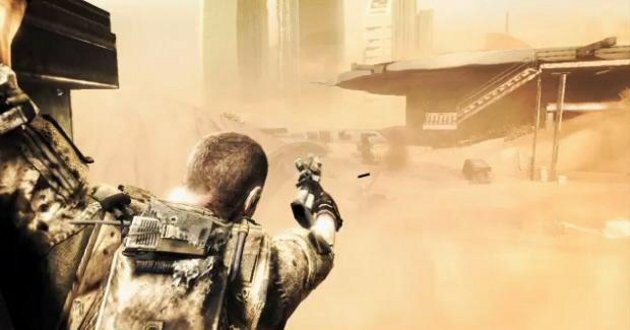 Using a variety of different weapons you and your squad must fight your way through a post-apocalyptic version of Dubai, looking for the commander of the fiction U.S. Army 33rd Battalion who was trapped in the city when a series of demolishing sandstorms hit. On arrival at Dubai however refugees attack you and your squad, igniting an all-out war between the remnants of the 33rd Battalion, your squad, and the refugees still in the city. As you fight through everything thrown at you your mission becomes more and more confusing and the sides become blurred between good and bad. You play as Delta Operator Walker and are accompanied by your squadmates Adams and Lugo. Adams is your squads’ heavy gunner, and he is skilled at tracking and breaching while not in combat. During a firefight Adams can be used to throw grenades and suppress enemies that are attacking the squad. Lugo is the squads’ marksman and can be ordered to target enemies out of reach of the players’ weapons. This can be extremely useful with enemies carrying rockets that need to be taken out quickly. Lugo normally does not agree with the orders given by Walker throughout the story and usually has a sarcastic comment to throw out. As the story continues, Walker witnesses more and more atrocities throughout the city. He starts to lose his sanity and becomes more and more violent, causing problems for the rest of the squad later on. Walker looks up to Colonel Konrad, the commander of the 33rd Battalion, and has nothing but trust and respect for him. Even amidst the storms and destruction, Dubai is a beautiful city. Most of the city has been submerged in the sand with skyscrapers sticking out of the ground. The landscape is prone to sandstorms that change the battlefield as you move through it. Parts of your environment can be used against enemies during a firefight; one example would be windows that have been lined with massive amounts of sand on one side. You can shoot these windows and drop the sand onto unsuspecting enemies below them, crushing your foe in the process and eliminating some of your workload. Sometimes this doesn’t always work as well as you would like. You and your squad can get caught up in the avalanche of sand, occasionally leading you to new areas hidden underneath the sand. Most of these moments are scripted however, but they are still fun to watch play out. High above the sand the refugees have built another city, with walkways and shanty buildings having been constructed atop the old city’s skyscrapers. Ziplines and downed construction cranes give you access to the rooftops, letting you cross them–albeit under heavy enemy gunfire. There are a variety of weapons to use throughout the game’s single player campaign and its multiplayer mode. During the campaign, some of the weapons have a secondary fire function, but these bonus functions are taken out in multiplayer. For example, the AK-47 is only full-auto in multiplayer but has a burst fire mode in singleplayer. Weapons in Spec Ops: The Line look great, but they don’t feel nor sound great when they fire. When you fire the weapons they feel weak, as if they are barely doing anything to the enemy. Weapons sound weak, too–the gunfire could have been amped up a bit to give them a more powerful and realistic effect. Aiming feels clunky and wrong, when an enemy is running around shooting at you, you want to be able to aim at him quickly and take him out. 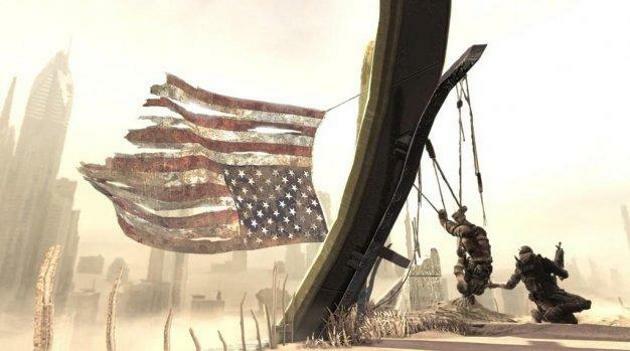 This is not the case in Spec Ops, however–it takes some time to get your reticule to go where you want it to and even then there’s no guarantee you are going to get it right on. 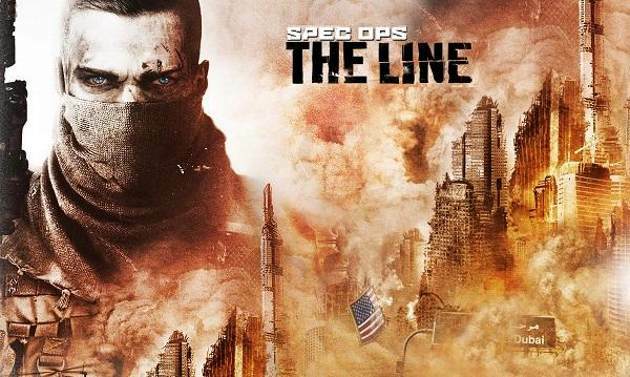 Spec Ops: The Line’s multiplayer is lacking overall. It isn’t anything new or innovative and not very memorable for the most part. It seems like rushed work that was just thrown on to make a little more money off the game. The one good thing about the multiplayer though is the use of the glass and sand traps from the singleplayer campaign, as these are always fun to see. 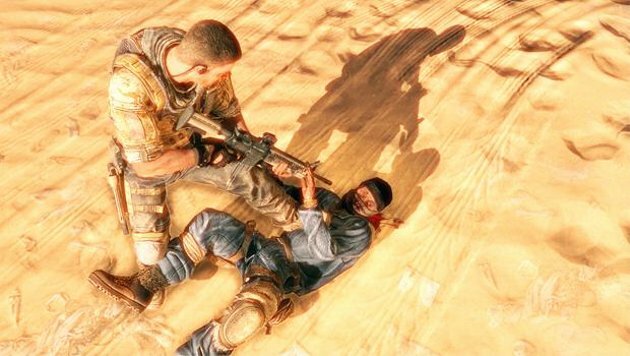 Spec Ops’ Lead Designer, Cory Davis, has stated that the multiplayer is “a low-quality Call of Duty clone in third-person” and a “waste of money”. I would not recommend putting a whole lot of time into this mode if people are even still playing it on your favorite system these days. There are four different endings the player can achieve from the singleplayer campaign. They depend on your choices during the final segment of the game’s story. I won’t give away how to achieve each of these, as it will definitely ruin the plot, but you will have to rent the game or find it for a low bargain price to see for yourself. Overall Spec Ops: The Line is a mildly enjoyable singleplayer experience, with a disappointingly cookie-cutter multiplayer that should be avoided. However, the game is graphically beautiful and features a cast of great characters that redeem the game from a terribly low score. Looks pretty good. Sounds like a renter.